Plastic, a high octane movie from start to finish is set to unfold in cinemas August 26. The movie is based on the real jewel heist during the nineties by reformed con-aritst Saq Mumtaz, What will make this movie interesting for everyone out there is to find out how greed and karma plays along in things that we often took for granted. It was a perfect credit card scam until his crew did it on the wrong man. What seems to be a simple heist turns out to be something that their lives would totally be in danges as they have two weeks to repay Marcel, who is a ruthless gangster. How much do they owe? A whooping two million dollars and if not paid they would end up dead. Sam things of a plan to get out of this predicament and they devise a scheme to clear their debt by heading to Miami to poach enough cash and merchandise. But they come up short. So Sam and his gang set their sights on a daring jewelry heist that could make them hugely wealthy for life. Their plan turns sour, however, when the team members start turning on each other. Now it’s up to Sam to finish the brazen heist and turn the tables on Marcel before they all go down. 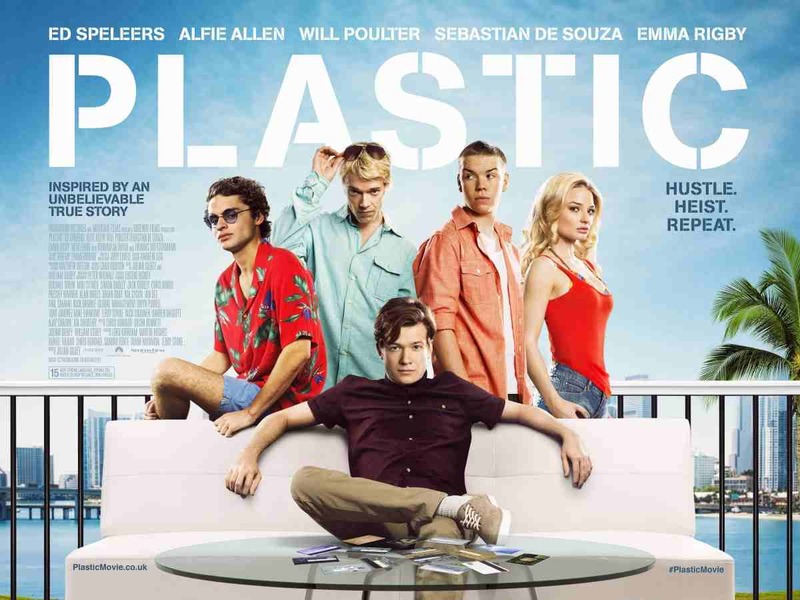 We have a MOVIE REVIEW for Plastic at THIS LINK. So let us know a little bit about the cast and how they ended up to be part of this awesome true to life movie. 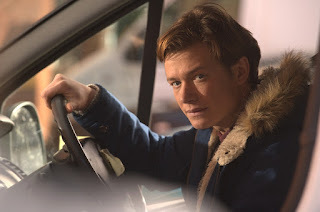 The central ensemble is led by control-freak, Sam, who is played by Ed Speleers (Downtown Abbey, A Lonely Place to Die). Ed had previously worked with Julian before on A Lonely Place to Die so their working relationship was already closely established. Julian was fully aware that Ed was a talented actor who really works at his craft. “He really came up with some good character ideas. He’s a solid leading man and a great guy to work with,” says Julian. Ed had heard of the script not only through his manager but also through Julian. When he realised they wanted someone a lot younger than originally planned, he jumped at the chance to play Sam. So what's different with Plastic from other heist movies?